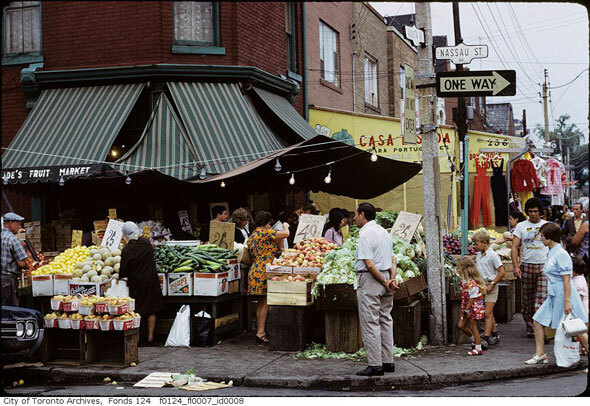 Kensington Market remains hallowed ground in Toronto, a place where the diversity the city's current identity is based on has its home. 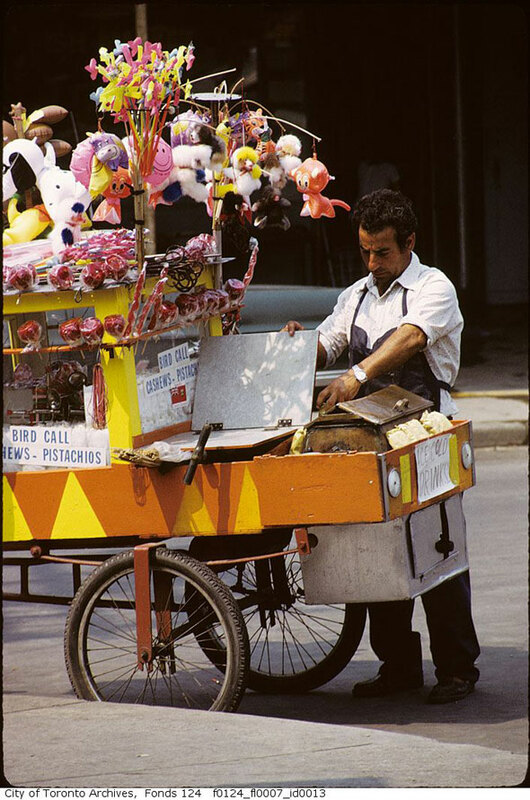 Yet, it's fair to say that its market character has waned as the city's grown up. Go back to the 1970s, however, and this is a place where live chickens are on full display, you can negotiate the price of produce, and the idea of a cocktail or wine bar here is positively absurd. This is captured amazingly in Ellis Wiley's photographs. 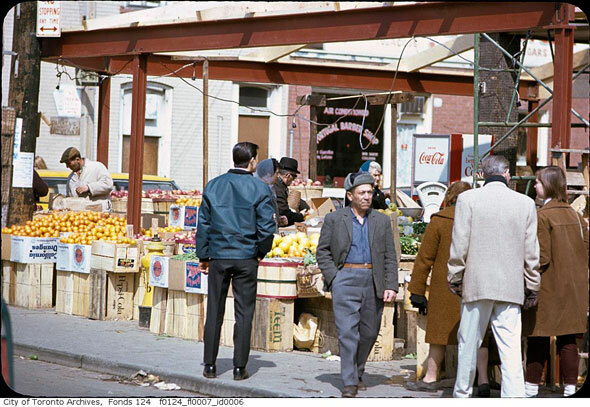 His some 1,500 street photographs are a vital part of the City of Toronto Archives collection, but might just show off their best vernacular qualities in Kensignton market. These photos aren't classics, but, like his other work, they capture a neighbourhood in a state of change. And this is a place that knows change. 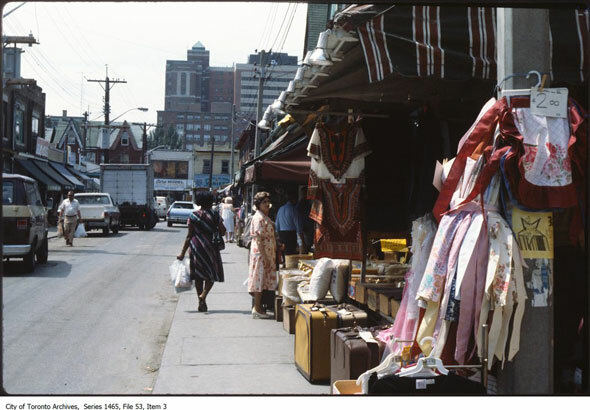 Following the second world war, the predominately Jewish market area became a popular destination for immigrants from other parts of the world, like the Caribbean, India, Philippines, Vietnam, and Latin America, as well as punks, hippies, and bohemians in the 1980s. 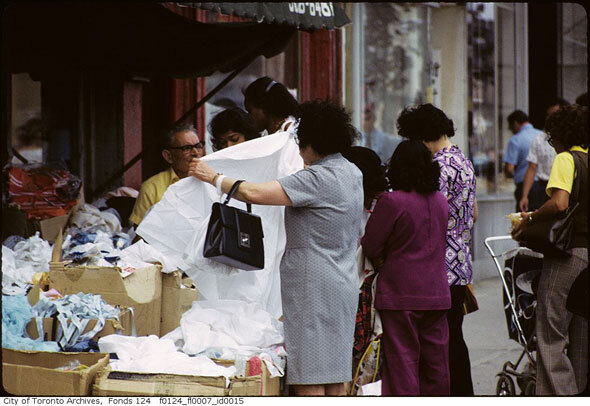 These photos, taken in the 1970s, show live poultry on display outside Augusta Kosher Poultry and Meat Market, colourful bolts of fabric, and chaotic food stalls around the time the important CBC sitcom King of Kensington was filmed. They're a powerful throwback to a different time. 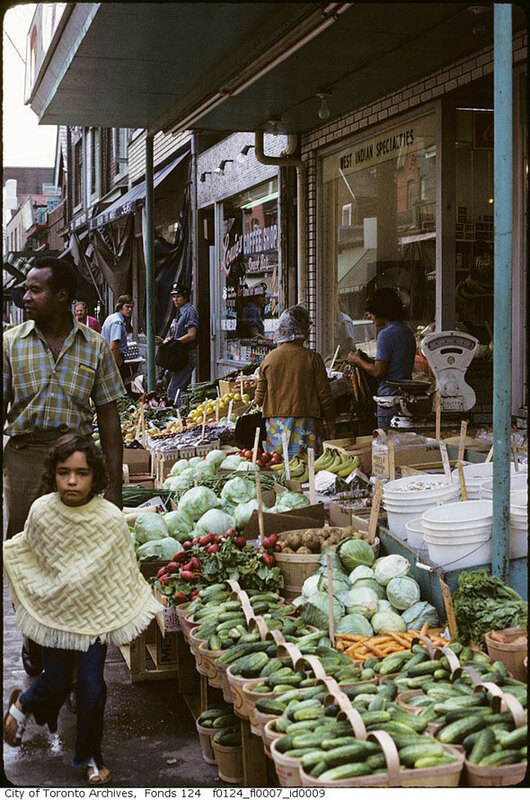 Behold, Kensington Market as it was in the 1970s. 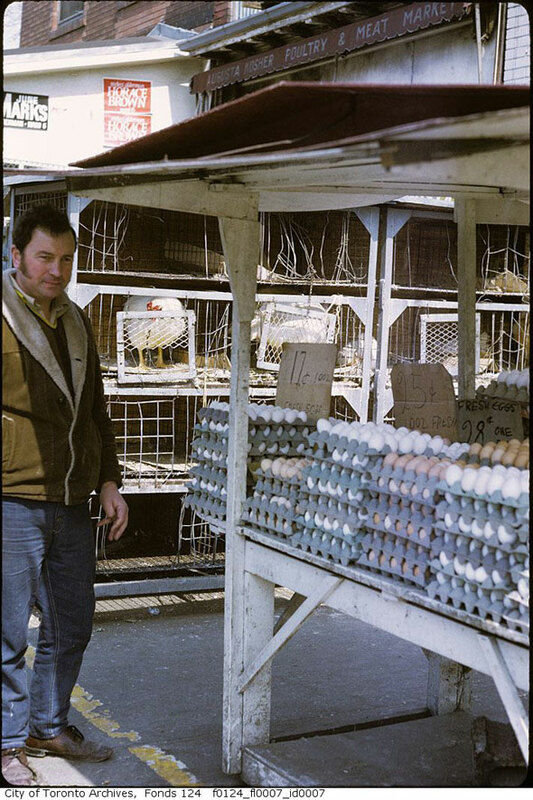 Eggs for sale at Augusta Kosher Poultry and Meat Market on Augusta Ave.
Fruit stand with "Air Conditioned" Portugal Barber Shop in the background. Fruit, vegetables, and people spill off the sidewalk at Nassau and Augusta. West Indian Specialities and "Lewie's" or "Lenie's" coffee shop. Looking west on Baldwin St. towards Toronto Western Hospital. Examining fabric from a street-side vendor. "Bird Call, Cashews-Pistachios And soft toys." And, of course, the opening for the King of Kensington (1975-1980).